New Hampshire Governor Maggie Hassan defeated incumbent Republican Senator Kelly Ayotte in the New Hampshire Senate race. Hassan declared her victory Wednesday morning. 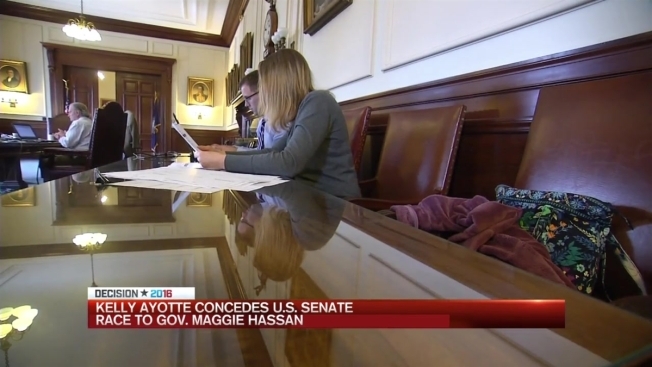 Later in the day, Ayotte conceded, and Secretary of State William Gardner confirmed Hassan had won by a tenth of a percent. "I believe we are stronger when we listen to all voices and all perspectives," Hassan said. "We are stronger when we are working to ensure that every person has the opportunity to share in our nation's success." 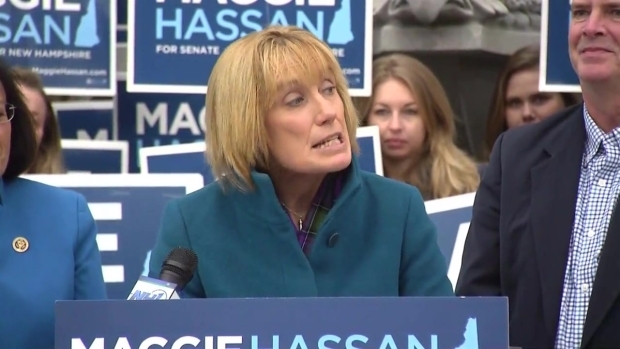 "I just spoke with Governor Hassan to congratulate her on her election to serve in the U.S. Senate," Ayotte said, according to a statement by Kelly for New Hampshire. "I wish Governor Hassan, her husband Tom, and their children Ben and Meg the very best." More than 700,000 people cast ballots in the Granite State. Hassan won by just over 1,000 votes. "In the United States Senate, I will always put the people of New Hampshire first," she said. Ayotte would be eligible to request a recount in the narrow race by 5 p.m. Monday. But her concession would appear to prevent that from happening.